Lots of people like to visit Florida. Sunshine, the sea and all the fun to be had with both are all big draws for tourists, who come from all over the world to try out the southeastern arm of the United States. 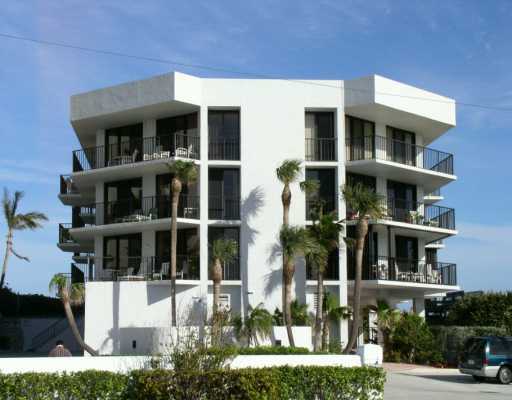 Beach Sound is a condominium complex in the Tequesta, FL area which features dozens of single family units, stacked up high on top of one another. Renting a condo for a week can be cheaper than staying at an expensive hotel in some cases and it’s certainly worth considering. As of April 21, 2019 there are 21 ACTIVE condos for sale in Beach Sound with an average listing price of $2,177,800. The highest-priced ACTIVE property listing is $29,900,000, while the lowest-priced property can be purchased for $205,000. Condos in Beach Sound have an average price of $867 per square foot, based on listings with an average of 3 bedrooms, 3 bathrooms, and 2,511 square feet of living space. Search Beach Sound condos sale & real estate in Jupiter Island, FL. Beach Sound is a condominium complex in the Jupiter Island, Florida area. Home to 12 separate units, this building stands at 19930 Beach Road in Tequesta, zip code 33469. For information about Beach Sound neighborhood properties for sale or to schedule a private condo showing, Contact your Jupiter Island real estate experts today! Looking to sell or buy a condo in Beach Sound? Call Snyder Real Estate Group, your neighborhood Jupiter Island real estate team at at (561) 951-9301. We are Beach Sound real estate agents and experts on the Beach Sound Jupiter Island, FL housing market. Single family units here are valued between $500,000 and $1,000,000, with plenty of room in the middle there for price variance among the different units. Thankfully, with Beach Sound and its luxury condos available in Jupiter Island, living along the shoreline doesn’t need to just be a dream any longer. The single structure contains four floors, each with three units per floor, so everyone technically lives in the same, individual building. Anyone looking for a new home is probably interested in the amenities offered at the place they’re considering. At Beach Sound, residents can look forward to decorated lobbies, indoor parking in covered garages, a heated indoor swimming pool and much more. With the Loxahatchee River so close, there are plenty of water sports to enjoy too. Boating and fishing access are all within minutes of Beach Sound, which is in the easternmost reaches of Florida. If you’re in the area, checking the last peninsula to the right and searching along Beach Road will reveal the complex to you. It’s hard to miss the building too, thanks to the size and multiple levels. For those not necessarily in the market to buy, Beach Sound features many vacation rental properties as well. Everything is pretty close to Jupiter and Jupiter Sound, so regardless of where you go to stay in Beach Sound, you will be right up on the beach. It hasn’t been mentioned yet, but there’s also plenty of golfing to do in the vicinity as well. With too many courses to list here, it’s a sure thing that avid golfers will find quality places to play their game; they need only look and see what there is. Considering the purchase or sale of real estate in Beach Sound? Let our team of Jupiter Island real estate specialists professionally assist in your hunt for the perfect home and skillfully negotiate the sale of your existing Jupiter Island condo. As Beach Sound neighborhood real estate agents, we know the unique nature of the Beach Sound real estate market. Our real estate pros can get you on the fast-track to your next condominium today! Call Snyder Real Estate Group today to learn more about buyer or seller representation. Considering the sale of your Beach Sound condo? Receive a free condominium assessment, where you can instantly calculate your property's estimated market value in seconds!